Scholars have long highlighted the links between translating and (re)writing, increasingly blurring the line between translations and so-called original works. Less emphasis has been placed on the work of writers who translate, and the ways in which they conceptualize, or even fictionalize, the task of translation. This book fills that gap and thus will be of interest to scholars in linguistics, translation studies and literary studies. 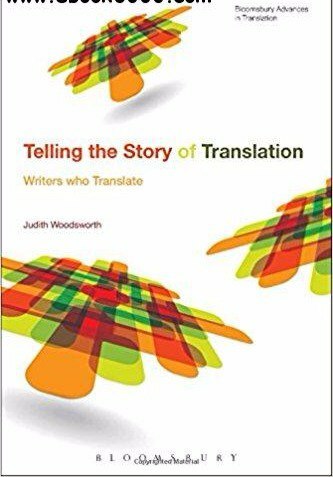 Scrutinizing translation through a new lens, Judith Woodsworth reveals the sometimes problematic relations between author and translator, along with the evolution of the translators voice and visibility. The book investigates the uses (and abuses) of translation at the hands of George Bernard Shaw, Gertrude Stein and Paul Auster, prominent writers who bring into play assorted fictions as they tell their stories of translations. Each case is interesting in itself because of the new material analysed and the conclusions reached. Translation is seen not only as an exercise and fruitful starting point, it is also a way of paying tribute, repaying a debt and cementing a friendship. Taken together, the case studies point the way to a teleology of translation and raise the question: what is translation is for? Shaw, Stein and Auster adopt an authorial posture that distinguishes them from other translators. They stretch the boundaries of the translation proper, their words spilling over into the liminal space of the text; in some cases they hijack the act of translation to serve their own ends. Through their tales of loss, counterfeit and hard labour, they cast an occasionally bleak glance at what it means to be a translator. Yet they also pay homage to translation and provide fresh insights that continue to manifest themselves in current works of literature. By engaging with translation as a literary act in its own right, these eminent writers confer greater prestige on what has traditionally been viewed as a subservient art.